Draft: 2015, Baltimore Orioles, 13th rd. Signed by Rich Morales...Attended Campbell University (NC) and Louisburg College (NC). Had his contract selected on 8/10, and made his Major League debut later that day vs. BOS; doubled off of RHP Nathan Eovaldi for his first hit in his first at-bat...Became the first player in O's history to record three hits in their Major League debut; was the second player in O's history to record at least two hits, two runs, and two RBI in their debut (Brent Bowers - 1996)...Hit his first career home run on 8/18 at CLE (RHP Neil Ramírez); hit his first career lead-off HR on 8/31 at KC (RHP Brad Keller)...Recorded five doubles in his first nine Major League games; became the first Orioles batter since Howie Clark in 2002 to have at least five doubles through their first nine career games...Collected a career-high four hits on 9/16 vs. CWS...Hit .288/.346/.465 (127-for-441) with 29 doubles, eight triples, 11 home runs, 76 runs, and 46 RBI in 108 games between Double-A Bowie and Triple-A Norfolk...Named the Orioles Brooks Robinson Minor League Player of the Year...Named Eastern League Player of the Week on 5/27: .560 (14-for-25), 1-2B, 1-3B, 3 BB, 9 R, 3 SB, 6 G...His 127 hits, at the time of his contract being selected, were the second-most by an Orioles minor leaguer (McKenna - 135)...Entered the 2018 season ranked as the Orioles ninth-best prospect, according to Baseball America. Enters the 2018 season ranked as the Orioles ninth-best prospect, according to Baseball America ... Selected as an Eastern League Player of the Week for 4/6-16, batting .455/.489/.818 (20-for-44) with five doubles, one triple, three home runs, 15 runs scored, eight RBI, and three stolen bases in 10 games during that span ... On Opening Day (4/6 at Akron), went 4-for-5 with a triple, home run, season-high four runs scored and two RBI ... Began the season hitting safely in the first 10 games (.455, 20-for-44) ... Went 50-for-162 (.309) in 39 road games. Entered 2017 ranked as the No. 26 Orioles prospect, according to Baseball America...Ranked among South Atlantic League leaders in a number of offensive categories, including total bases (240, 2nd), triples (10, 2nd), extra-base hits (61, T-2nd), doubles (37, 3rd), hits (141, 3rd), and runs scored (79, 3rd)...Tied for the second-most stolen bases in the Orioles organization (led Class-A Delmarva)...Tied for the league's longest hitting streak of the season (19 games), in which he hit .333/.356/.536 (28-for84) from 7/24-8/19...Registered 17 extra-base hits in 27 July games...Batted .300/.346/.480 (30-for-100) in 24 August games... Selected as the SAL Player of the Week for 8/29-9/5, batting .433/.433/.833 (13-for-30) with three doubles, three home runs, seven RBI, and three stolen bases in seven games during that span...Hit .290/.333/.499 (115-for-397) vs. right-handers...Batted .302 (29-for-96) with RISP...Logged 38 multi-hit games, including three four-hit games...Recorded two multi-stolen base games. Led the Short-Season A New York-Penn League in at bats (277), finished tied for third in hits (73), and tied for fourth in triples (five)...Ranked first on the IronBirds in stolen bases (17), total bases (104), and tied for first in runs scored (34)...Made his professional debut on 6/19 vs. Hudson Valley and went 2-for-3 with a walk, hit by pitch, double, RBI, and a run scored...Recorded an 11-game hitting streak (.392, 20-for-51) from 6/21-7/4...Hit his first professional home run on 7/12 at Brooklyn...Registered a season-high two stolen bases in Game 2 of a doubleheader on 8/26 at Staten Island...Collected a season-high three RBI on 9/5 at Hudson Valley...Hit .293 (60-for-205) vs. right-handed pitchers...Logged 21 multi-hit games. 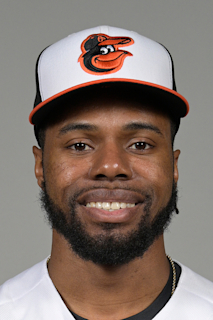 April 22, 2019 Baltimore Orioles optioned CF Cedric Mullins to Norfolk Tides. August 10, 2018 Baltimore Orioles selected the contract of CF Cedric Mullins from Norfolk Tides. June 1, 2018 CF Cedric Mullins assigned to Norfolk Tides from Bowie Baysox. February 1, 2018 Baltimore Orioles invited non-roster OF Cedric Mullins to spring training. July 23, 2017 Bowie Baysox activated CF Cedric Mullins from the 7-day disabled list. July 8, 2017 Bowie Baysox placed CF Cedric Mullins on the 7-day disabled list. June 4, 2017 Bowie Baysox activated CF Cedric Mullins from the 7-day disabled list. April 21, 2017 Bowie Baysox placed CF Cedric Mullins on the 7-day disabled list. April 3, 2017 CF Cedric Mullins assigned to Bowie Baysox from Delmarva Shorebirds. February 24, 2017 OF Cedric Mullins assigned to Baltimore Orioles. April 5, 2016 CF Cedric Mullins assigned to Delmarva Shorebirds from Aberdeen IronBirds. March 23, 2016 OF Cedric Mullins assigned to Baltimore Orioles. June 19, 2015 Baltimore Orioles signed OF Cedric Mullins. June 19, 2015 OF Cedric Mullins assigned to Aberdeen IronBirds.